The concept of “bullying” is all the rage these days, just ask the news, the internet, or that big kid on YouTube. This year’s winner of the Best Foreign Language Film at both the Academy Awards and the Golden Globes deals with the concept of bullying on just about every level, from traditional youth rivalries to unforgivable acts of terrorism. The lives of two disintegrating Danish families entwine as they are assaulted with a seemingly endless barrage of unanswerable moral conundrums. At what point do the bullied become the bullies? Is pacifism justified even in the face of pure evil? Are future generations destined to carry on a tradition of violence? Post-film discussions are guaranteed. 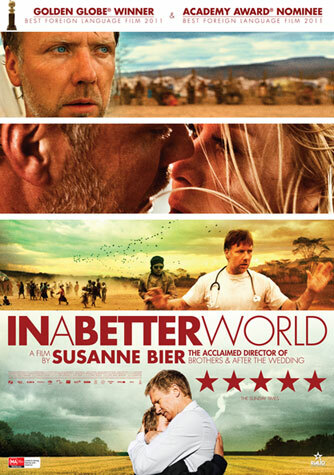 In a Better World opens today at the Ritz Five.